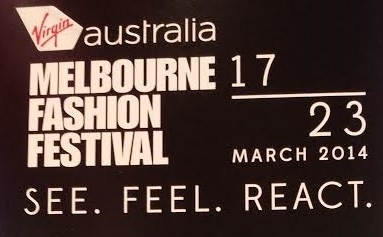 Melbourne Fashion Festival 2014 – What is Style? Here is a peak of what’s hot on the catwalk at the Melbourne Fashion Festival 2014. The question on everyone’s lips – is Aussie Fashion better than NZ? What is Style? and beauty is in the eye of the beholder ….. I think style is a personal thing – some people are very good at expressing their fashion style whilst others not so much, or don’t really care about it (which in itself is a kind of expression!). I also don’t think Aussie fashion is necessarily better than NZ and vice versa. Again, its a subjective thing, based on personal preference. Both countries have some great designers. Also, I’ve found that Aussie fashion differs from city to city with parts of collections featuring in stores depending on where you are. Thanks for the heads up in regards to the Australian Women’s Weekly – might try and get a copy and have a read. Style is such an individual preference and I have always admired those that can wear what they like and not follow fashion trends or what age defines you should wear (hence my recent blog). Much of NZ fashion blends into Aussie – with so many of the same stores on both sides of the Tasman. I do think our NZ designers have a little more edge to their styling choices as not so much driven from overseas designs and ideas. Great to see the blues and magenta’s Yellow Tulip I love the brights with black in winter. Always nice to mix bright colours with black. With this lovely autumn weather, we may be wearing summer colours for a little while longer. Happy Blogging. Some stunning clothing there, for sure! Always good to find something to tempt us with the new season’s range. Have a lovely day.